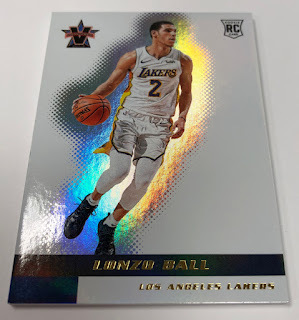 Panini America’s Vanguard Basketball is ready for its rookie NBA season — and its bringing with it many of the tried-and-true staples that worked so well almost 20 years ago. Hobby historians will instantly recognize that the base set for 2017-18 Vanguard Basketball borrows extensively from the 2000 Vanguard Football release. 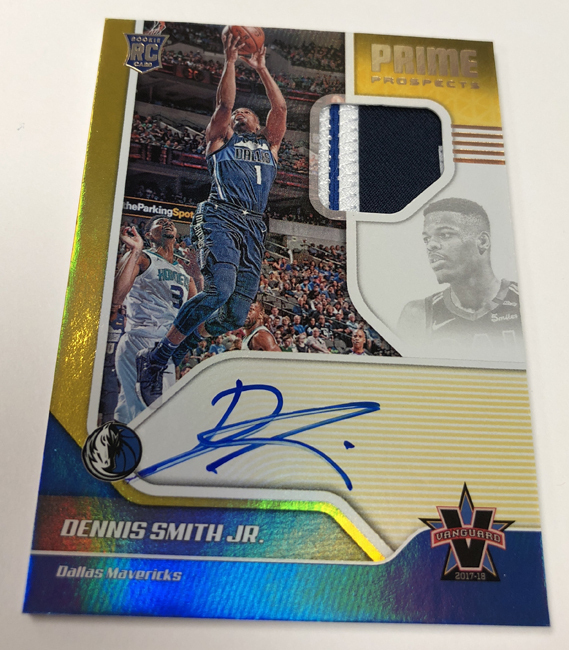 And it took its insert inspiration from Vanguard originals such as Cosmic Force, High Voltage and Vanguard Press — albeit with a modern-day autograph emphasis. 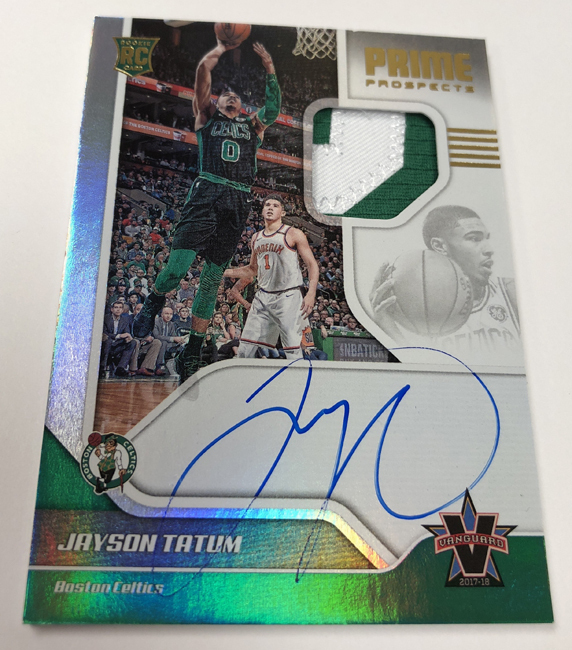 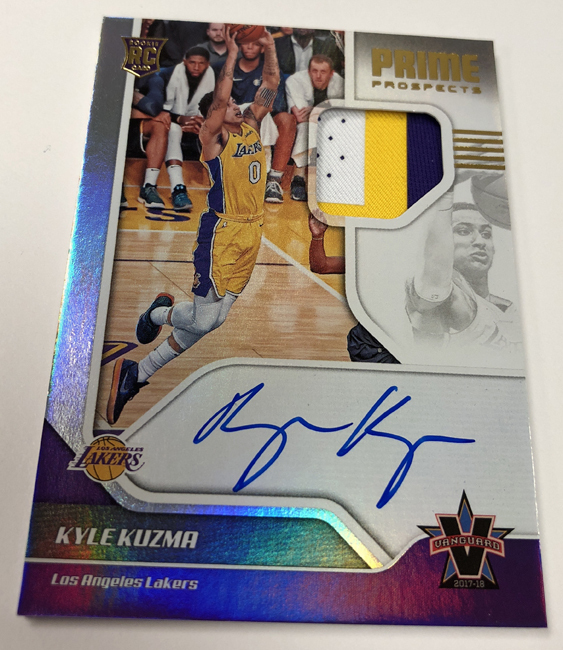 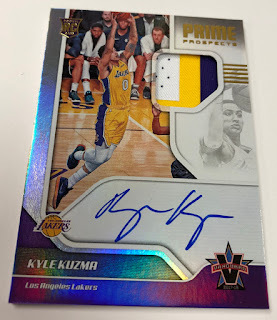 On average, each hobby box of 2017-18 Vanguard Basketball (five cards per box) will deliver four autographs and one base card or parallel. 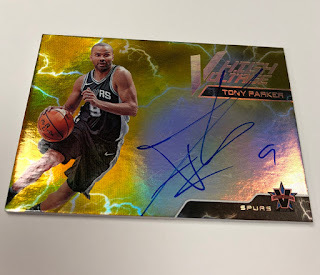 Every autograph in the product is signed on-card and there are just 49 base sets that can be completed. Look for Rookie Patch Autographs numbered to 99 or less in the Prime Prospects chase.